About BigShoe – BigShoe e.V. 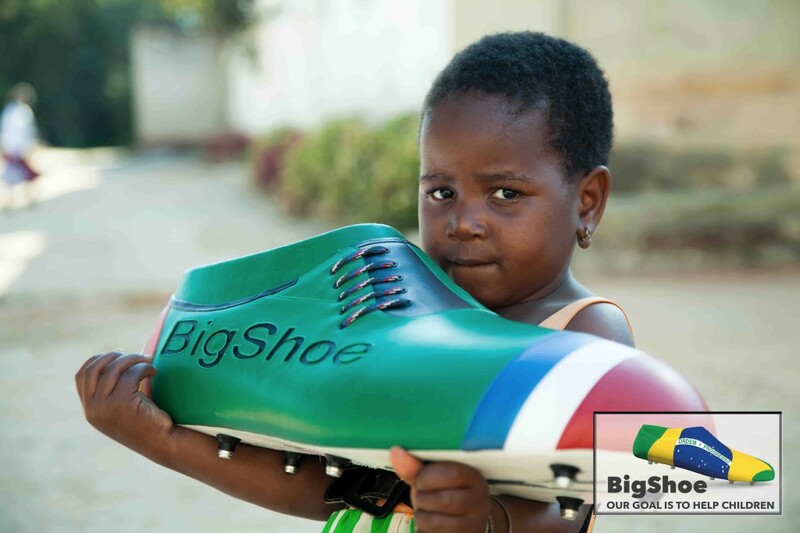 Today the BigShoe® is as a unique symbol for a growing worldwide network of football and sport fans help poor children with medical operations as well as supporting the youth participating in our education through sports program. BigShoe keeps walking and together with the WC 2010 (South Africa), WC 2014 (Brazil), EC 2012 (Ukraine and Poland), EC 2016 (France) and WC 2018 (Russia)…. 2014 Mesut Özil take over the costs on 11 children during the WorldCup in Brazil. Through his engagement, the BigShoe has become world famous. Up till today, Paul Pogba, Antonio Rüdiger and Philipp Lahm have joined the BigShoe Team with one Goal: helping children in connection with sport.